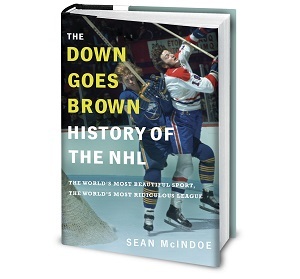 Down Goes Brown: Does a long first-round series really matter? The Sharks and Kings are heading toward an unlikely Game 7. After San Jose won the first three games of their opening-round series, Los Angeles has fought all the way back to force a deciding game after Monday night’s 4-1 home win in Game 6. These are two of the best teams in the league, so whoever emerges from Wednesday night’s winner-take-all game will assume the role of Stanley Cup favorite. That’s the positive view of things. Here’s the alternative: Both teams have already blown it. After seven hard-fought games, whoever survives Game 7 might be too beaten up and exhausted to be at its best in the second round and beyond. If there’s good news for both teams, it’s that they’re not alone. The Montreal Canadiens have been off since last Tuesday, when they beat the Tampa Bay Lightning to become the only team to manage a first-round sweep. Their Atlantic Division rivals (and second-round opponent), the Boston Bruins, made it through in five. But every other matchup has gone six or seven, leaving top contenders like Pittsburgh, Anaheim, and Chicago with only a few days of rest before plunging forward to the second round. That’s a problem, because conventional wisdom says that it’s important to escape the first round as quickly as possible. After all, the Stanley Cup playoffs are a two-month war of attrition in which injuries and fatigue can play almost as much of a role as skill. You need to get out of the first round with a quick win, the thinking goes, then sit back and watch the other teams slug it out while you rest up for Round 2. Or do you? While the “quick first-round series” theory makes intuitive sense, a look back through recent history suggests it hasn’t been as much of a factor as you’d expect.